Denis McDonough’s people skills may explain why he’s Obama’s new chief of staff. 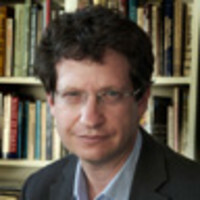 Daniel Klaidman reports. Ask a reporter about Denis McDonough, President Obama’s new chief of staff, and there’s a good chance you’ll get an eye roll followed by a story about being on the wrong side of a tongue lashing. Though McDonough is said to have mellowed over the years, many Washington journalists can trade stories about his caustic broadsides and occasional bullying tactics in defense of the president he serves. Yet ask almost anyone who works with McDonough, and the response is likely to be 180 degrees in the other direction: an effusive—even gooey—paean to his decency, civility, small gestures of kindness, inclusiveness, and collegiality. Indeed, one of the chief assets that McDonough brings to his new job is a reputation—at least internally—for deft people skills. To be an effective chief operating officer of Obama’s White House, McDonough will have to leverage all of his interpersonal skills. For those who have worked closely with him on the foreign-policy side of the building, he has already built up considerable capital. McDonough is known for acknowledging the hard work of his subordinates, or just being aware of developments in their personal lives. He regularly fires off notes of praise for a well-written memo or of congratulations if a colleague has gotten married or had a baby. One colleague says that when McDonough walks through the halls with a senator or a cabinet secretary talking about some pressing issue, “he will always interrupt the conversation to say ‘hello’ when he walks past.” If McDonough’s late for a meeting he’s chairing, he’ll follow up later in the day with apologetic emails. For all of his graciousness, McDonough is capable of showing an edgier side to his colleagues—the same side that many journalists have gotten used to seeing. In meetings he’ll occasionally brush back a colleague with a cutting or sarcastic remark. And crossing certain red lines can elicit harsher treatment from McDonough. Among them: getting out ahead of the president’s policy agenda with leaks to the press. “He won’t tolerate boxing in the president’s decision space,” says a former colleague. Still, McDonough’s generally soothing ways have often made him an effective emissary to deliver tough messages. After the 2008 election, Greg Craig had wanted a top foreign-policy position, perhaps national-security adviser or deputy secretary of state. But once Hillary Clinton was tapped for the top job at Foggy Bottom, Craig’s chances were doomed. (During the primaries, Craig, who had been a longtime Clintonista, alienated Bill and Hillary by vigorously backing Obama.) It was McDonough who laid the groundwork for Obama to break the news to Craig. “Greg,” he said, empathetically, according to a source familiar with the conversation, “I know you’d like to do foreign policy and that’s your passion, and we know you’d be very good at it, but if they asked you to be White House counsel, would you take it?” Craig said he would, and the president followed up with a call offering him the job a few days later. One thing Obama apparently likes about McDonough is his sense of political stagecraft. When Obama decided to give his first and, as it would turn out, only speech on counterterrorism early in the spring of 2009, McDonough came up with the idea of using the National Archives as the venue. According to one White House official, Obama loved the symbolism of giving a speech about the rule of law in the majestic building that housed the nation’s founding documents. More recently, it was McDonough who suggested Obama make a surprise visit to Afghanistan, where he delivered an address announcing the end of the war. On policy, McDonough has a reputation as a strong progressive. It’s likely, however, that as chief of staff he will be more devoted to executing the White House’s agenda rather than pushing his own ideological priorities. The biggest unknown for McDonough will be how he adjusts to a job that places him in the center of domestic policy—given that he has spent his entire career in government on foreign affairs. In his second term, Obama will face a deluge of enormously complicated domestic challenges, including battles over the deficit, entitlements, gun control, and immigration. Beyond the policies themselves, McDonough will be tested by a whole new level of congressional intervention and pressure from outside constituency groups. It’s an arena in which he has limited experience. What McDonough does have, though, is the deep faith of his boss and most of his colleagues.